Rushcliffe Golf Club offers a unique challenge to the player with a huge variety of shots from numerous lies. This puts your golf swing under stress to delivery the club head on to the ball with speed and accuracy. 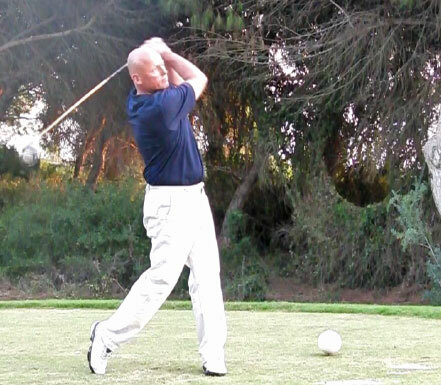 Our coaching programmes teach you to deal with all aspects of ball striking. We will show you how to gain the most out of your movement ranges to maximise power and consistency, plus guide you through a programme of improvement so you can continue to lower your scores. We cover a wide variety of skills from driving the ball to the sensitive touches required around the fast undulating greens. Chris is a Level 3 TPI Golf Conditioning Coach which focuses on body movement skills - he is one of only 20 across Europe to hold this qualification. "We train a wide variety of players from novices to professionals, all players have benefited from the ability to move easier. Some train a few minutes a day and some prefer a heavier programme, whichever they choose ease of movement means a greater ability to learn golf skills."